Right up to the bitter end, James Ray's defense team is sticking with that arrogance and condescension thing that has served them so well throughout this trial. As the jury went off to deliberate over aggravating circumstances Tom Kelly took them to task in his closing argument for reaching the wrong verdict. "I have difficulty finding there was any criminal act," he said, "so that makes it difficult ... to stand up here and talk about aggravating circumstances." He presented his client as the hapless victim and implied that the jurors would have to live with what their finding did to him for the rest of their lives. For good measure he sought to intimidate them with the press scrutiny they would face for their decisions, telling them that the media would "assault" them as they left the court. I think this was a miscalculation. He's insulted jurors who still have some decision making power over Ray's fate and who have already decided that he has some culpability. A lack of contrition is unappealing in a convicted criminal and, for now, Tom Kelly is the only voice James Ray has in that courtroom. If he comes off as arrogant, unapologetic, and unconcerned about the loss of life, so does Ray. If he comes off as disrespecting the jury, so does Ray. He also reminded jurors that they must not be swayed by sympathy or prejudice... except for the sympathy they should have for poor James Ray, presumably. 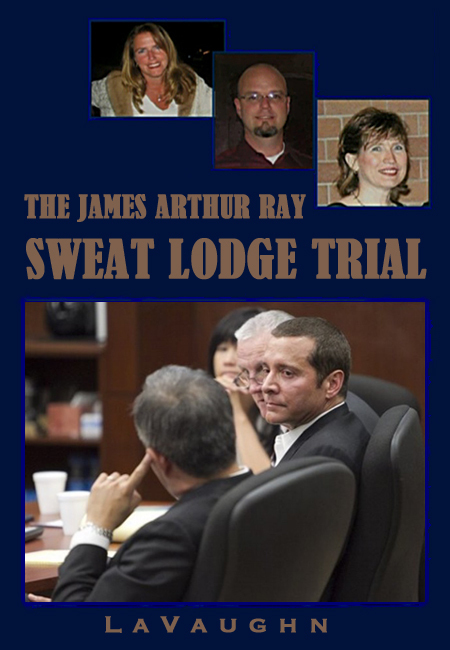 "Mr. Ray had nothing to gain from the deaths of the sweat lodge participants," the defense said. "To the contrary, he had everything to lose and in fact did lose everything as the aftermath of the sweat lodge incident has shown." He scoffed at the idea of pecuniary gain, insisting that the money went not to James Ray but to JRI and Angel Valley. I don't think the jury bought the idea that Ray's tiny company with a handful of paid employees was a totally separate entity during the trial. And, of course, they weren't allowed to know that Ray always required kickbacks from the hotels where he held his events. Basically, Kelly replayed the defense's trial strategy resurrecting the organophosphate theory and reminding the jury of our freedoms. "This is a nation of risk-takers; it's what makes us great," he said, adding that "the implications are beyond comprehension" if a leader or guide who presides over an event that leads to a fatal accident can be imprisoned for a crime. Kelly also kept with the primary defense strategy: frequent objections and exclusion of evidence. Early in Sheila Polk's closing, he objected to her rendering of the facts. Judge Darrow reminded the jury that what attorneys say isn't evidence and they moved on. When Polk played a recording from Ray's speech to participants, Kelly objected again, insisting that the recording was not in evidence. Judge Darrow looked at the minutes from March 2nd when the recording was admitted into evidence without objection. "Follow the money," Polk told the jury in her closing, as she asked them to consider three aggravating factors: emotional harm to the families, the unique position of trust Ray held, and pecuniary gain. She reminded the jury of how little information families got from JRI in the aftermath of the tragedy. She told them that Kirby Brown and James Shore were admitted to the hospital as Jane Doe and John Doe. Think about that for minute. Four people have died on James Ray's watch and every one of them spent time listed as "Doe." It's a chilling reminder that those waivers they sign are entirely to protect Ray; not the people who are paying him thousands of dollars to lead them through dangerous activities. Responsible organizations keep that kind of paperwork at the ready to hand to hospitals in the case of emergencies... along with health histories that Ray doesn't even require. Alyssa Gillespie, Polk told the jury, didn't even know her husband James Shore had died until 30 hours later. As examples of the unique position of trust Ray held with participants she referred to witnesses like Mike Oleson, Scott Barratt, Dennis Mehravar, and Beverley Bunn who said they all trusted Ray to keep them safe. And she pointed out that they all paid Ray a lot of money, nearly $10,000 a piece, in exchange for promised results. "The events of the week were like a pyramid with the sweat lodge on top, designed to make the participants believe they got something for their money," she said. 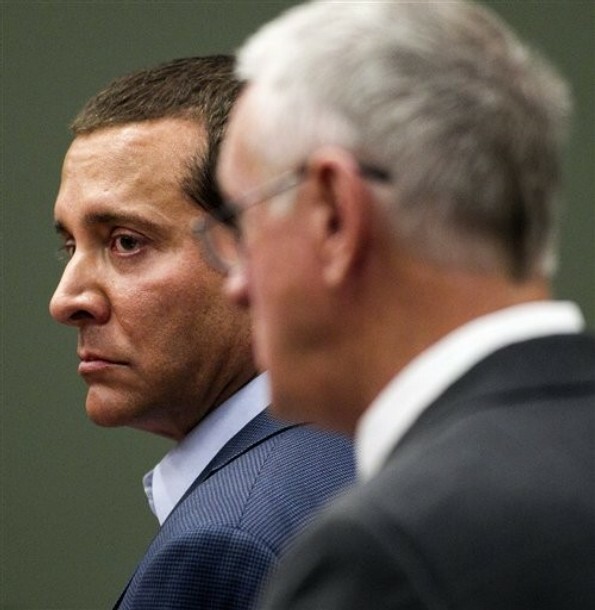 "This case is about money, trust, and greed," Polk told the jury. And she reminded them of the ultimate cost. "Mr. Ray took their money, their trust, their dreams and the lives of Kirby Brown, Liz Neuman and James Shore," Yavapai County Attorney Sheila Polk said in asking jurors to find that the state has proven the aggravating factors beyond a reasonable doubt. As of this writing, the jury is still deliberating.